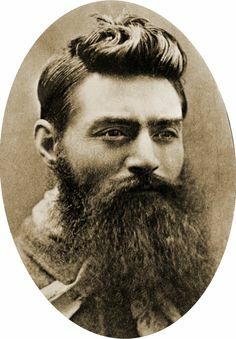 I was down the beach yesterday & as I emerged from the surf, I lay on my towel & glancing at the waves, saw this bloke standing a few metres in front of me with a Ned Kelly tattoo on his left calf. It was simple & elegant and had a serene quality about it. 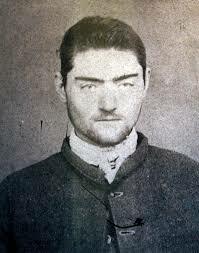 The tattoo was from a famous 10 November 1880 photo of Kelly, the day before he was hanged, aged 25 (photo above). 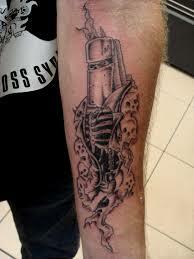 It got me thinking, what have other tattoo artists made of the Aussie legend? I viewed hundreds of Ned Kelly tattoos today and came up with a short list. I’m no expert but was looking for clarity & originality of the artwork as well as the wow factor. The work I include are from my preliminary researches and can easily found on the web. You will find many tatts which superimpose Kelly’s iconic iron mask with images of a skull but this calf piece is a step up from the rest (GREENeyedGOBLIN on DeviantArt). This impressive duo calf sleeve represents (on the left) a scene from Kelly’s last stand at Glenrowan and (on the right) his alleged famous quote before he was hanged “Such is Life” (Peter’s Ned Kelly’s sleeve on Pinterest). 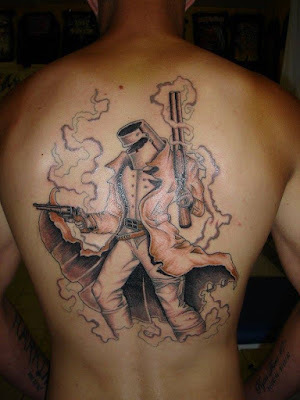 This full back tatt was not originally my favourite one- but it grows on you! Wow, that’s amazing! 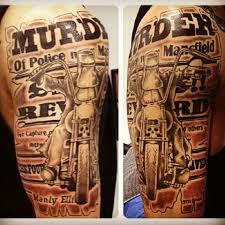 (Clinton Osborne of Eternal Tatts in Shepparton, Victoria). 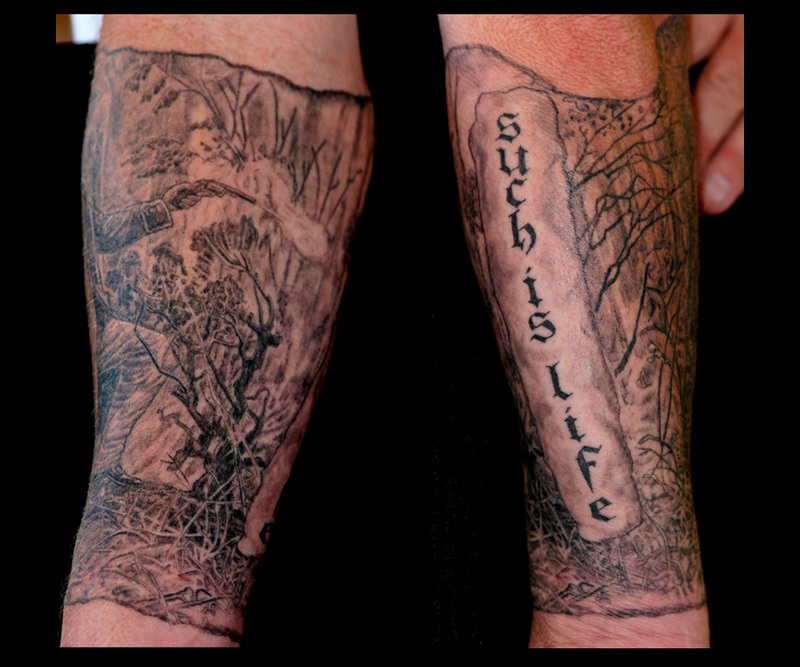 A few days later thinking about that tattoo I experienced at the beach- nothing I saw online could touch it for its beauty. 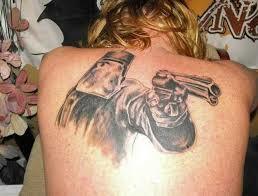 Most tatts as you can see above focus on the violence & iron iconography of the man's early death.